Researchers from Rutgers University in the US reported that 83 per cent of the samples collected from the US and 78 per cent collected from India had at least 1.0 micro gram of lead per gram of the cosmetic powder. 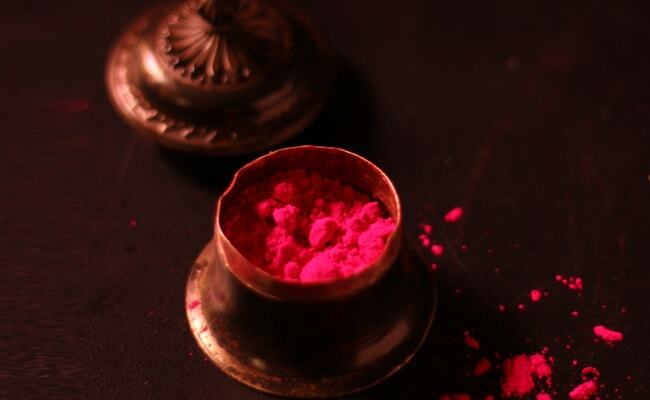 Washington: Sindoor, a powder widely used in religious ceremonies, may contain unsafe levels of lead which is associated with lower IQ and growth delays in children, a study of samples from India and the US has found. Meanwhile, 19 per cent of the samples collected in New Jersey and 43 per cent of the samples collected from India exceeded the 20-micro gram of lead per gram of cosmetic powder limit imposed by the US Food and Drug Administration (FDA). "There is no safe level of lead. That's why we believe sindoor powder shouldn't be sold or brought into the US unless it is lead free," said Derek Shendell, associate professor at Rudgers. Researchers tested 118 samples of sindoor, a scarlet- coloured powder that is used by women to place a bindi, or red dot, cosmetically on their foreheads. Married women also put it in their hair parting and it is used by men and children for religious purposes. The results indicated about one-third of the samples, which include 95 from South Asian stores in New Jersey and 23 from stores in Mumbai and New Delhi, contained lead levels above the limit set by the US FDA. "Sindoor and Kajal are well known to contain lead and other heavy metals with risk of kidney, hepatic, skin disorders. Risk of heavy metals on skin leads to DNA damage, Kertaodermas and skin ulceration, nail and teeth changes," said Dr Nitin S Walia, Senior Consultant, Dermatology, BLK Super Speciality Hospital. "Problem is throughout Asia especially India, Pakistan, Middle East, SE Asia. Poor quality cosmetics (contain) Lead, Mercury, Chromium, Cadmium, Zinc," said Mr Walia, who was not a part of the research team. Researchers said at a minimum there was a need to monitor sindoor lead levels and make the public aware of the potential hazards. "We screen kids who live in houses built prior to 1978 with lead-based paint," said William Halperin, professor at Rutgers. "We should be screening children from the south Asian community to make sure they do not have elevated levels of lead in their blood, before we discover more dead brain cells," Mr Halperin said. The researchers are concerned about the amount of sindoor potentially entering the country on a weekly basis through the four international airports in the New York and New Jersey metropolitan area, including Philadelphia. Mr Halperin said he took a trip to India, brought back sindoor and was not stopped by US Customs and told that the product might be hazardous. Researchers said that the government should look at this as a public health issue and not rely on consumers to make the right choices. It is difficult to determine exactly which products contain lead based on the variety of sindoor available and because the number of products which contained lead in this study is high.